25 ways to ask your kids "how was school today?" As parents we want our kids to tell us more, but often we’re frustrated by their one-word responses; leaving us curious and pressing for more info. Make it more fun (and less of an interrogation) with questions suggested by Huffington Post! Click here for the full article. Where is the coolest place at the school? Tell me something good that happened today. If you could switch seats with anyone in the class, who would you trade with? Why? Think these could work for your kids? Try it out and let us know how it goes! 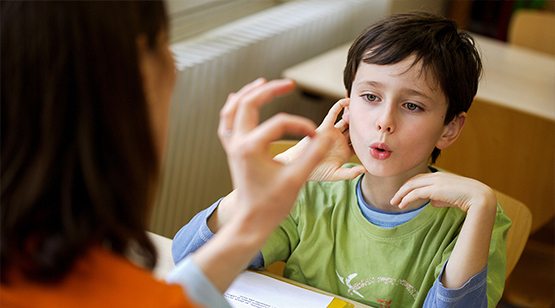 VIDEO: Is it time to seek stuttering therapy for my child? You’re a parent, and you have the right to be concerned about your child . Are you able to “watch-and-see” and tolerate allowing some more time, and give your child the opportunity to sort it out themselves? Are you more concerned, risk-aversive and more comfortable being more proactive rather than applying a more patient approach? What ABOUT YOUR CHILD? And They’re Temperament? Is your child reactive and fussy? Is your child easy-going and unbothered? If neither parent, nor the child is concerned - it can be a legitimate option to allowing more time. There is no objective need to rush to therapy sooner than later. Click here for a practical infographic - when to seek professional stuttering evaluation for your young child who stutters. For more - see the video above. VIDEO: Is Therapy Right for a Stuttering Three Year Old? There is a wrong way, which is to try to do a ‘one-size-fits-all’ solution. We may be the professionals and we may be the experts, but we're not the boss. A mother's intuition, a father's intuition is the best knowledge and the best guide in the process. Plant communication values during moments of opportunity. You don't teach values, you plant them. “What you have to say is worth listening to, no matter how it comes out. I'm listening to what you have to say more than how you say it”. It can be really challenging to talk about uncomfortable topics. All the more so when speaking with our kids. 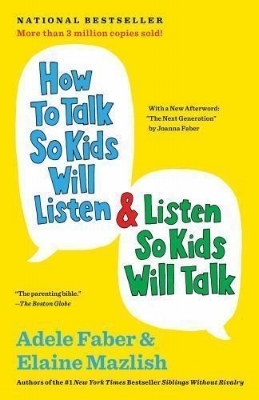 Books can be really helpful to open-up crucial conversations with young people. Never underestimate young people, and the valuable opportunities to open conversations to engage important topics! Practical suggestion: Shared reading time can be a great opportunity to sit-down with your child and enjoy real quality time. Every time you do, you strengthen their reading skills, and you also create a rich opportunity to make connections from the text-to-life. Talking about stuttering with your child can feel overwhelming. As a caregiver, you may have a lot of your own questions and emotions about stuttering and/or having a conversation about stuttering. You are not alone. Try using a book to facilitate the conversations. Books can provide clarity - making it easier for the both of you. And you may enjoy some bonus smiles along the way! Nothing gets me more upset, than when I hear kids are being bullied. What is bullying and what is just "kids being kids"? 1. What is bullying and what is just "kids being kids"? First of all bullying is different than teasing and it's different than abuse. The definitions are shifting with time, but what is definite about bullying is that it's the repetitive targeting of an individual or individuals with some behavior that makes them feel uncomfortable. It could be something as "innocent" as walking past a student in the aisle, and giving them a little elbow.... over and over and over. That's bullying. It could be something as egregious as inappropriate touching, name-calling and/or teasing in a way that relentlessly and repetitively focuses on the same target over time. That's also bullying. 2. Where and when does bullying happen? Most often, the bully knows how to slip-in, most often targeting kids in the in-between moments; transitions between classes, recess, lunchtime, dismissal, the bathroom, on the bus, during unsupervised times, and unfortunately, bullies don't keep it reserved for school. Bullying occurs in our communities, in the park, in synagogues, churches, and mosques. And of course, it can occur online in the shadows of social media. 3. What to do about bullying? Too often we turn to the targeted kids - the ones being "bullied" - and we put the onus of responsibility on them. We tell our kids to fight back, speak-up for themselves, ignore... But, often the bullied kids (especially the ones with communication challenges) can't do it. If they could speak-up for themselves, they would. Sometimes, facing a bully can be legitimately challenging, scary and ineffective. And sometimes, it can be more trouble than it''s worth! Often the bully is unresponsive to other adults intervention, and too often, even speaking to the parents of the bully is less-than we wish it would be. What is proven to be effective is engaging the responsible adults in that space; whether it's teachers at school or people in your community. The shared interest is to ensure that all children are in a safe environment, where all children are safe to grow to learn and to flourish. There is also another overlooked resource against bullying. That is all the "other kids." Not the ones who are bullying and not the ones being bullied, but all those kids who are watching it happen day-in and day-out. By observing this behavior and standing-by passively, these "other kids" are giving permission and even approval to the bully's behavior! So, if we engage all the students in class, and the young people in our communities to be "good samaritans" then they play an active part in creating a bully-free environment. 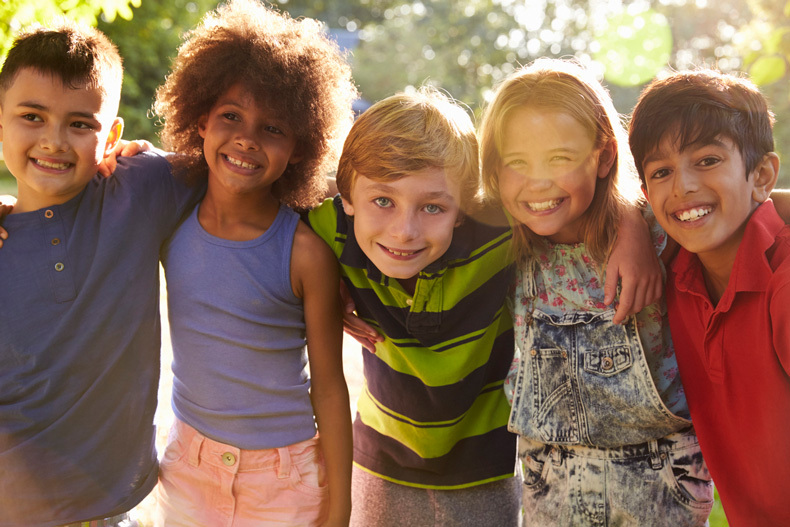 Nurture kids' self-esteem, and you'll never need to "build their self-esteem"
Parents often ask what they can do to help build their kids self-esteem. I'd like to suggest a paradigm shift. Let's re-think "self-esteem." Instead of being something we build into the child, let's recognize it as an innate gift, included within every newborn child. Consider this: no baby looks in the mirror and thinks negatively of themselves! In reality, every baby is born "in-love with themselves" wholly as they are. At some point later on, experiences and feedback from their environment that can send them messages, and over time those negative/doubtful/critical messages chip-away at what was whole. So when we think about self-esteem let's think about what our kids are born with, and how they see themselves. Certainly their unique completion of being make them no less and no more than anyone else. If we can help young people grow-up with a sense of who they are, and what makes them unique - then we can raise them with a nuanced sense of self-esteem. This sort of self-esteem will lead to confidence and positive self-image through school years, teenage years, young adulthood and beyond - and most valuable of all, will lead them to grow-up as responsible citizens of the world with compassionate and understanding for themselves, and others. Sometimes, we find ourselves without words; words to explain how we feel inside and words to help others understand what we’re dealing with.